I’ve had a fun career that’s led me to many musical adventures. I started early on at Power Station in NYC, then as a staff engineer at Sigma Sound Studio. I became an independent mixer, then producer, eventually winning some Grammys and selling a bunch of records, back when that was a possibility. I’m still producing both for my Sony labels, as well as independently. 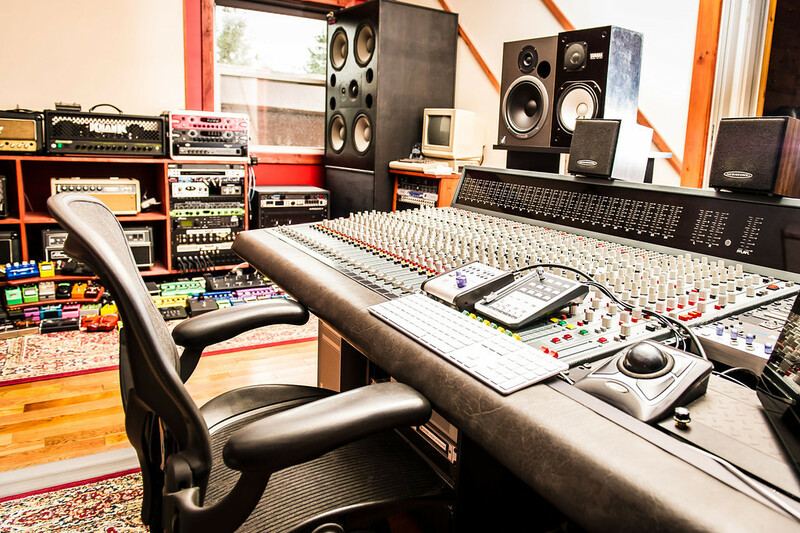 I partner in a number of project studios in Nashville, Muscle Shoals, and New York, as well as having a room at historic Fame Studios. 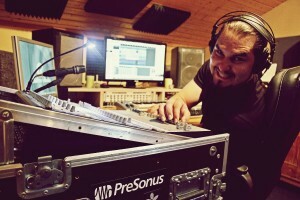 I’ve always been a PreSonus user. As time goes on, PreSonus continues to release products that almost anticipate my needs. I started out with the ADL 600, a very tasty stereo mic pre from a few years back. 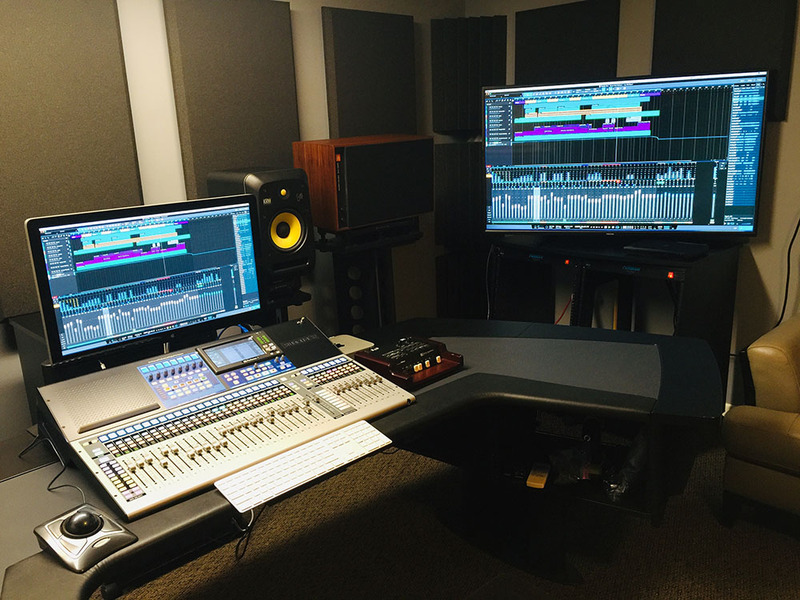 I’ve put together a pretty cool room in my Muscle Shoals facility that’s centered around the StudioLive 64S, along with some great AVB powered PreSonus peripherals: The StudioLive 32R, the EarMix 16M, and the SW5E among them. Also to be found are the PreSonus R80 monitors and, of course, Studio One. And I always travel with my Faderport 16. Always. For what applications are you using the products? My PreSonus facility is very much a writing/production room that is easily convertible to a full-blown production studio. 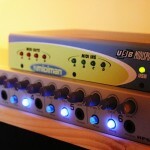 I like the creative ease and intuitive design that is integrated into all of the PreSonus cosmos of products. It’s simple to start off small—just creating some beats or a few phrases on guitar or a vocal idea—and easily push that to a bigger, more robust production without having to shift rigs. What led you to choose these particular PreSonus products? I had a pretty solid awareness of the PreSonus offerings for many years and was fortunate enough to meet and spend some time with Jim Odom. 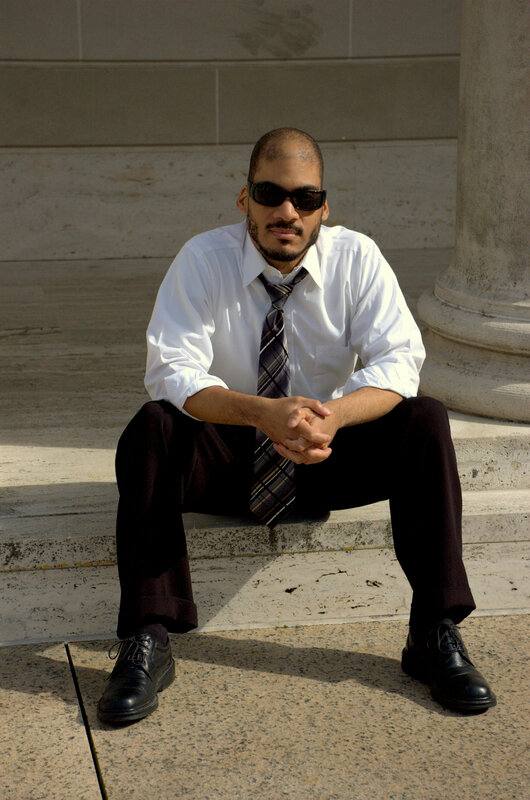 His backstory is steeped in music production and performance, and, ultimately, creating solutions that he wanted for himself. I liked that a lot. I still do. 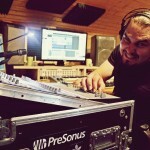 I totally get the narrative of PreSonus products, their evolution over the past few years, and their remarkable value. Jim and his team are always pushing the boundaries—they’re taking insane amounts of features and options and putting them in boxes that should cost five times what they’re asking. I have no idea how they get it done, but they do. And all that filters down into very usable tools that sound great and are fun to work with. 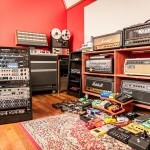 Having used the gear, what do you like most about the specific PreSonus products you use? Let’s talk about the Faderport 16: A 16-channel control surface that fits under your arm—brilliant design and execution. Regardless of my preferred DAW, I always feel right at home. I’m in a hotel, it’s there. I’m in a rehearsal room, it’s there. Perfect combination of small footprint and functionality. The new Studio 192 has been enjoying rave reviews of late, but we’ve found a way to make it even better—by adding free stuff! If you’re looking to upgrade your recording interface to a Studio 192, you’ll be upgrading your workflow as well, as we’re offering a free FaderPort with purchases of the Studio 192 for a limited time. Interested? 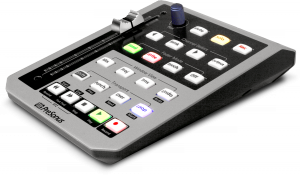 Find a dealer in your area and take home a Studio 192 and FaderPort. This combo can’t disappoint. 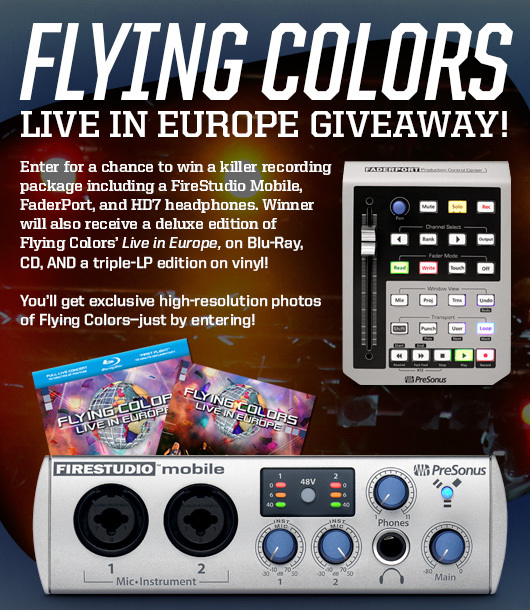 Note that the Studio 192 Mobile is not eligible for this offer. Seattle’s Brandon Scott has been saying nice things about us for a couple years now. Beneath his infinitely approachable demeanor, the guy is completely PreSonuCore. 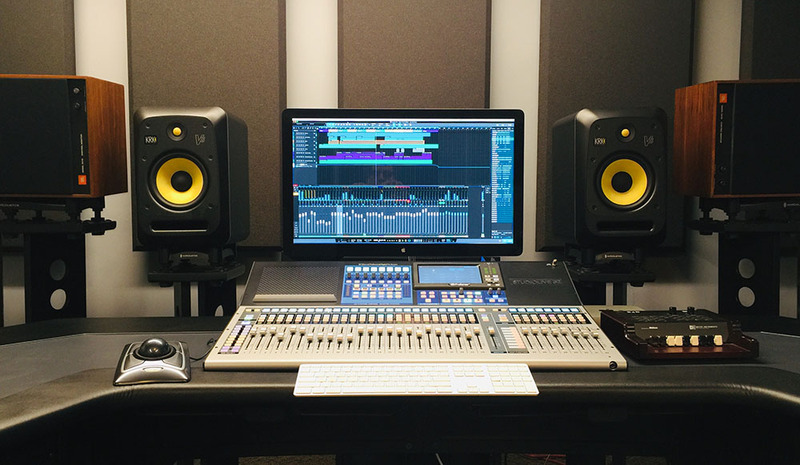 His home studio is almost completely draped in familiar silver and blue; a rack-mount roll-call finds the AudioBox 1818VSL, FireStudio Mobile, Studio One, and now the FaderPort all present and accounted for. The FaderPort is Scott’s latest acquisition, and he’s already singing the praises of portable power placed in the ‘Port’s petite profile—check out the cool video he made on the matter, below. Hey Brandon – now that you’ve had some time to learn to love the FaderPort, try taking it away for a week and see what it does to your workflow. I DARE YOU! Follow Brandon Scott on Twitter. Hey PreSonus! 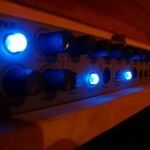 Below you’ll find my review of the omnipotent controller that is the PreSonus FaderPort. Feel free to publish, post, tattoo, etc! 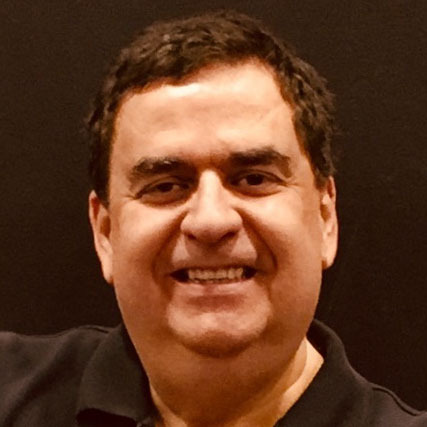 Having spent several years working “in the box” with Apple Logic 9, my production partner began to view it as a bit of stagnant piece of software in terms of both its functionality as well as its ability to get our creative juices flowing. We decided to jump ship to PreSonus Studio One after having been told by many of our colleagues that we’d be in for a treat. To sweeten the deal, the timing of our new purchase coincided with a PreSonus promotion offering a FREE FaderPort. After spending many hours over the course of a week with this baby, I’m wondering how I could ever live without it. What installation? Seriously. I simply connected the USB and AC power and I was running! I couldn’t get any easier than this. In the interest of full disclosure, I didn’t try FaderPort with my other DAWs, Ableton Live 9 and Logic 9/10… and why would I? 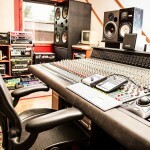 Studio One is the sh*t! But I digress. A touch-sensitive, silky-smooth motor-controlled (YES, motor-controlled!) fader that makes about as much noise as rubbing your hands together (you’re doing that right now, aren’t you?). The standard array of transport/channel buttons (Play, Mute, Solo, etc.) in addition to a bonus “User” button to define your own actions and a “Shift” button to obtain secondary functionality with the transport buttons. A row of buttons dedicated to quickly access different window views (goodbye “F” keys!). A row of buttons dedicated to navigating the tracks of your mixer…that consequently results in your motorized fader adjusting to match the volume of the respective track. In other words, less screen starting and more fader moving! An “endless” pot control for the respective track channel’s balance. 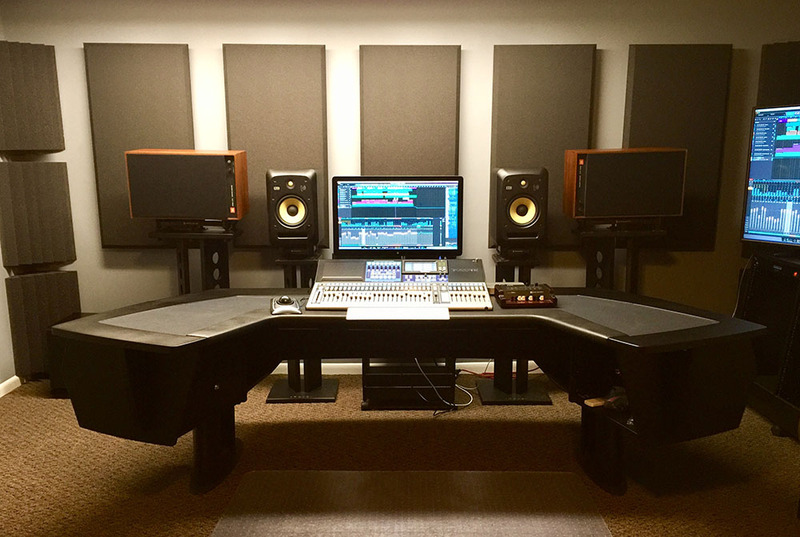 Let me make this perfectly clear: if you own Studio One, you need to own FaderPort. Personally, I like to work fast when inspiration strikes. Being able to keep one hand on my trackpad with the other hand on FaderPort has me working at speeds that would make the Flash bow his head in shame. The ability to quickly access interface windows and physically adjust the volume on any given track is an incredible time-saver. The buttons have a satisfying”click” to them. 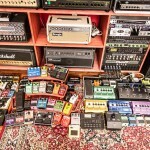 While reading this review you may feel as though my tone is a bit shill. I assure you I’m no salesman, just an excited music maker who has taken a strong liking to a simplistically brilliant piece of hardware that works straight out of the box. By eliminating the need to constantly hunt for keyboard shortcuts, I can apply that time saved to the one thing every producer–no matter how famous–strives for: more opportunity to be creative. Craig Wood is a nerd who has surrounded himself with technology and music throughout his 32 years on this Earth. 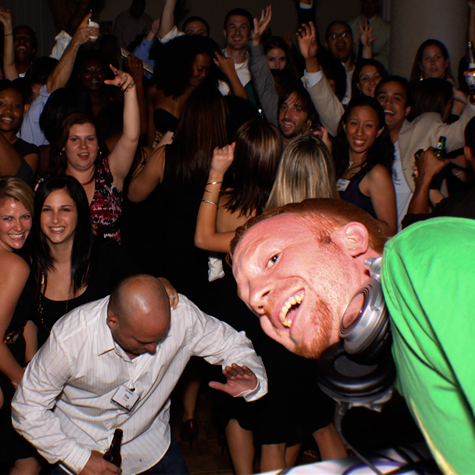 He’s one half of the EDM production group that goes by Stepchild. (Shill: Debut EP available on Heavy Artillery Recordings!) He enjoys heavy basslines, drop-kicking mannequins, and writing review bios in the third person. He will not rest until he unleashes his revenge against the six-fingered man. Hey PreSonus! Thank you for giving me the opportunity to share my experiences! If you need anything, please let me know. Thanks again. How and when did you get involved in music? How long has AMP been running? I got involved in music by accident actually, my friend—and now business partner—Sean Fields was always involved with music. He asked me how I would feel about starting up a music production company. Without any hesitation, I said yes! We came up with a plan, put together a demo, and earned enough money to go official in 2003. 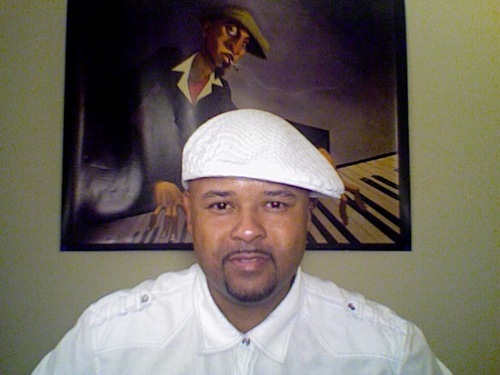 I first started out doing the marketing and promotion, which led us to our first client. 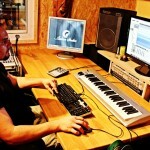 That’s when I got into producing! What PreSonus stuff do you use? 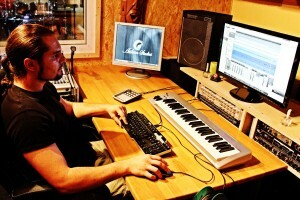 Right now I use Studio One Professional 2.5, and I am using the PreSonus FaderPort. What were you using before PreSonus, and why did you switch? 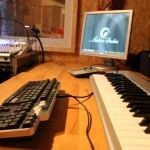 I was using FL Studio, which I still do now, ReWired, or I may track out and mix in Studio One, which I do a lot of. I’ve used Reason, Sonar and Logic as well. 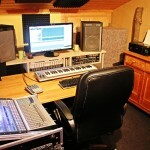 But feel that it is much easier to do what I want to do in Studio One without struggling to do it. To get where I want to go, there are simply fewer steps. 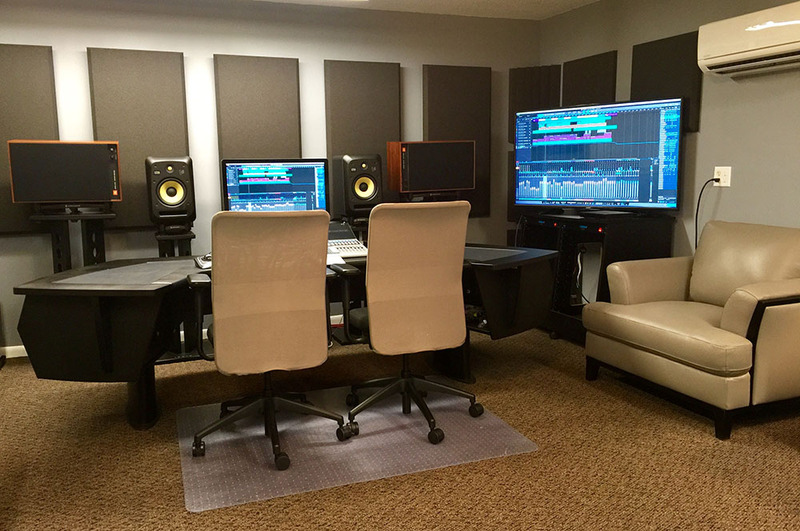 Studio One speeds up the process. My favorite features? Hmm, there are too many to mention, LOL! But, I really like the drag-and-drop feature, without multiple shortcut keys. I also like being able to move around in the DAW without thinking too hard, by not having to go through several menus and sub-menus. For example, I never bothered with bussing in FL Studio, because it was too complicated. I would end up loading up plug-ins on each channel. In Studio One, setting up the bus is simple. It’s just a right click, and select Add Bus for Selected Tracks. I can then add a single instance of the Compressor to the whole bus. That is a definite time saver, and also works with sends. Thanks to Studio One, I now have a better understanding of the way effects chains work. Any tips’n’tricks or production secrets you can share? Well, this can be implemented in all DAWS, but, for those who have had issues with their drums not sounding punchy, and full: stacking is the key. Also, knowing how to compress and EQ with minimal settings. In other words, less is more when it comes to those type of things. Taking your time to learn the DAW without rushing is the key to getting great sound out of the software. 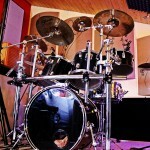 Know that when your drums start clipping, back off a little, that will make a huge difference. ALSO—and this is a big tip I am starting to do it myself—listen to a reference mix of your favorite artist and try and get your beat or song to sound just as clear and loud as that, with out over-doing it… Keeping in mind what I mentioned before: less is more. 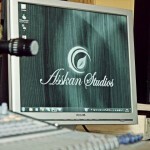 Asskan started as a little home recording project. But perfectionism led to a complete little studio, with all the stuff I need. 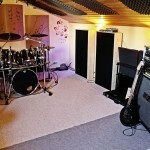 The studio was finished just about 6 months ago. I searched for a recording solution with a analog-like usage that’s covering a wide range of requirements. I wanted to record mobile, for example in good sounding rooms, I wanted to record bands live, and most of the time, use it in my studio. 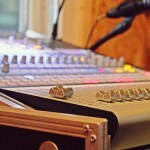 The solution was the StudioLive 16.4.2. It gives me many channels of recording, great neutral preamps, and the opportunity of mixing my monitors, all in just one device. 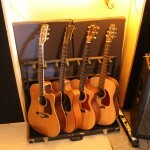 The HP60 was the perfect extension—now I can give all members of the band what they need in live recording situations. 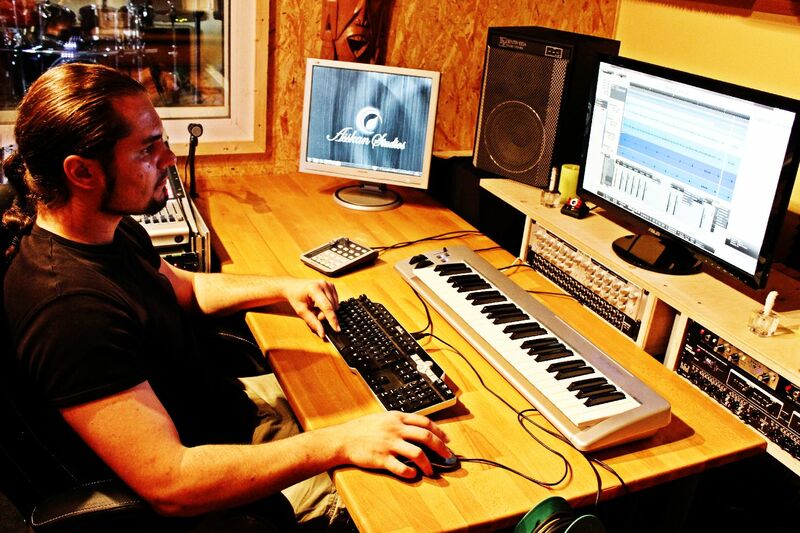 With Studio One I’ve found a classic, but easy-to-use DAW with many time-saving features. And the FaderPort adds ease to my fader adjustments. I do not like to do fine adjustments via the mouse, but also I searched for a controller with just one single control. What I’d like to have? The Studio Channel could be a good follower for my actual outboard preamps. Maybe the ADL600? !